Here you can find a strain description about Bushmans (ApeOrigin) and also some user-based reviews and infos directly from the SeedFinder (if available). 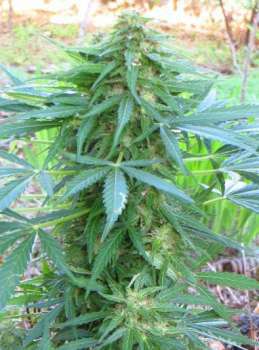 You can also find the offers and auctions here if Bushmans (ApeOrigin) cannabis seeds are on stock at MyCannapot right now. This Bushmans by Origin Seeds is a recommended strain for outdoorgrowers who want to have the very nice sativasmell! They improved the quality of the seeds and the result is an outstanding sativa for indoors and outdoors! Buy Bushmans (ApeOrigin) now at MyCannapot!